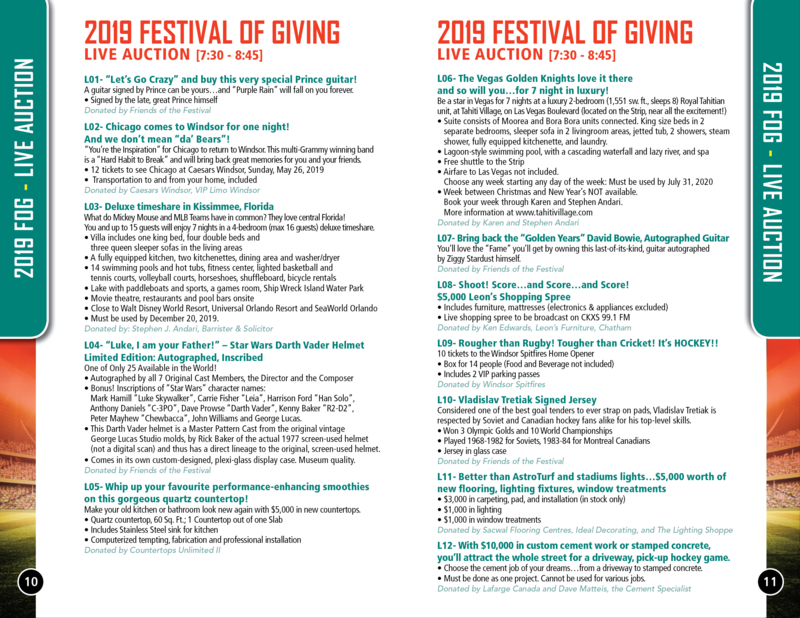 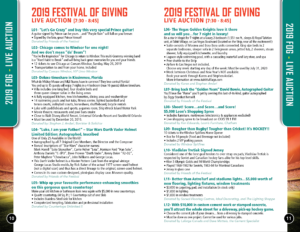 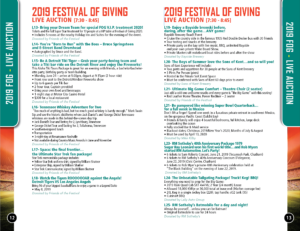 Festival of Giving 2019 Exclusive & Live Auction Lists! 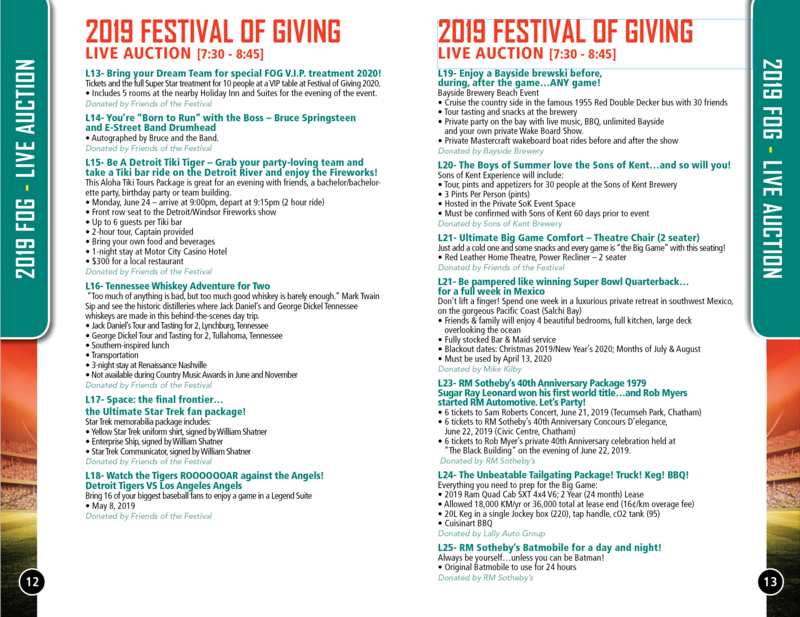 Each year, the Festival of Giving committee is very fortunate to have generous donations made to the Live Auction, Exclusive Silent Auction and Auction Room. 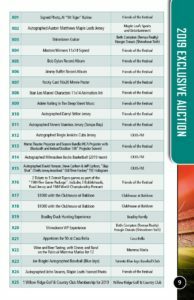 See below for a preview of the Live and Exclusive Silent Auctions. 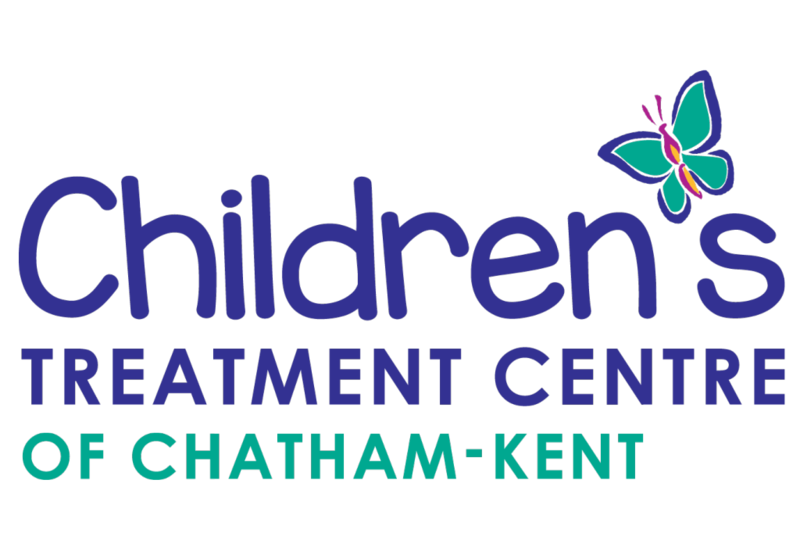 Previous post Did You Know?